The PerkFilter™ media filtration system has been proven to remove and retain the toughest pollutants from storm water runoff coming from developed urban and suburban sites. 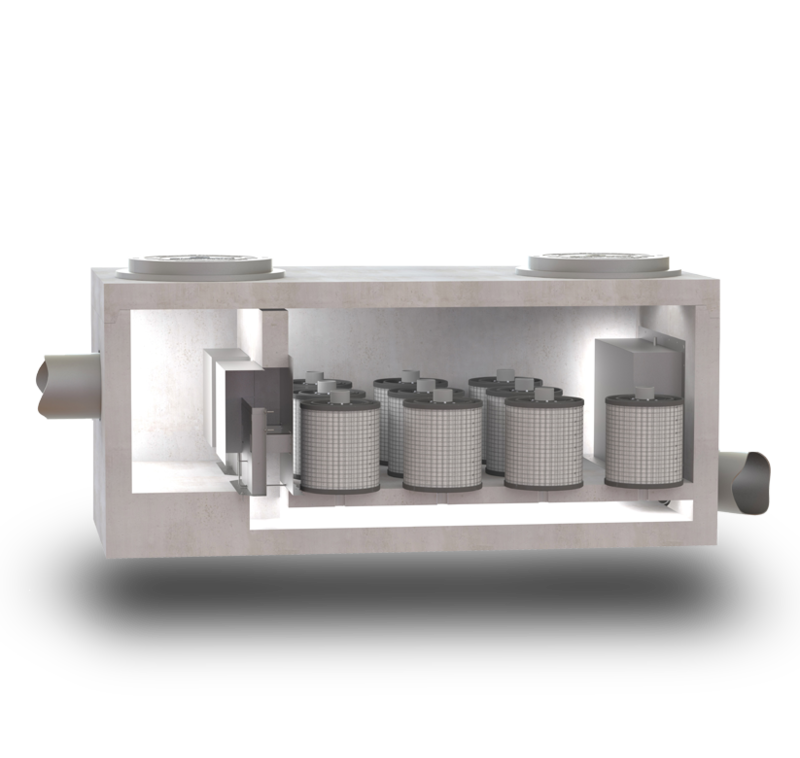 The PerkFilter is a storm water treatment device that utilizes a wide variety of proprietary media to treat specific pollutants of concern. Available in vaults, manholes and catch basins with variable inlet/outlet locations. 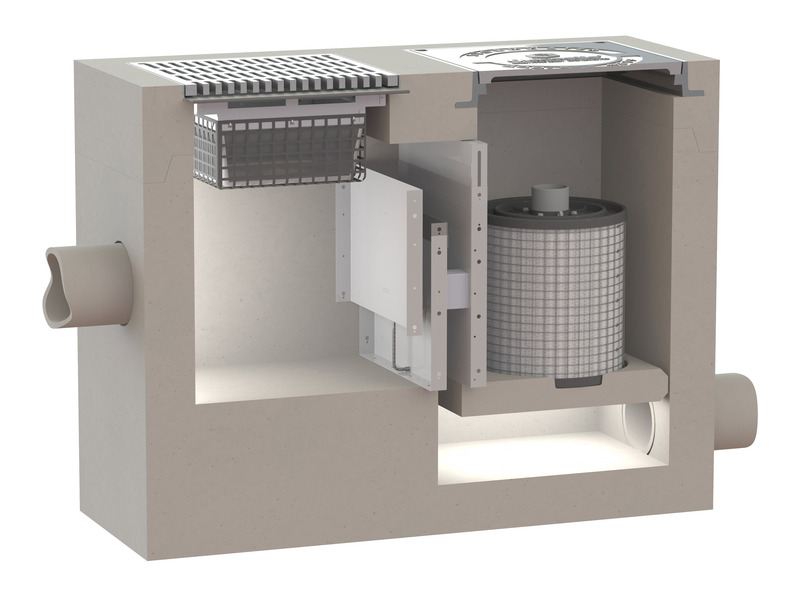 High-efficiency treatment in a compact footprint. Removal of Total Suspended Solids (TSS) and phosphorus. Integrated bypass system reduces construction costs by eliminating the need for a separate bypass structure. 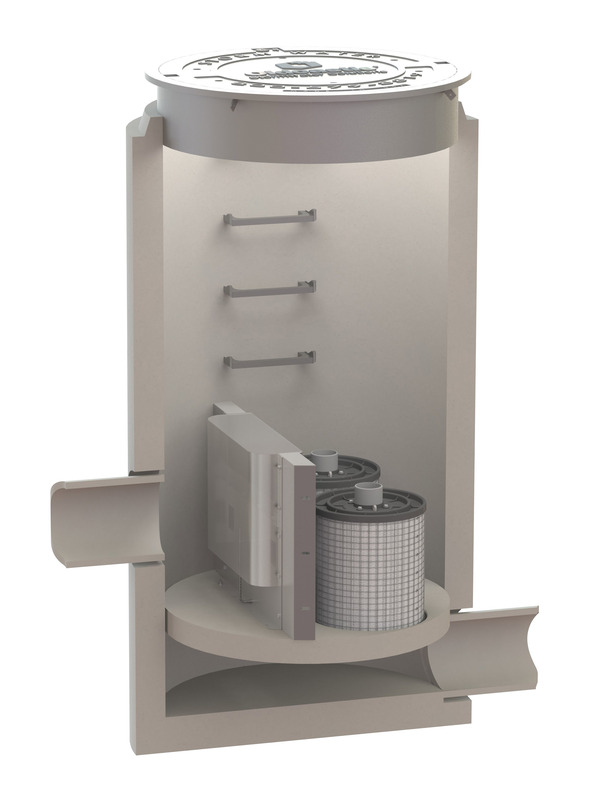 Pre-treatment chamber prolongs media lifespan by removing gross pollutants. Simple design provides for efficient media replacement and cartridge handling.